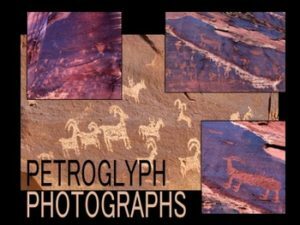 This is a set of four high-resolution photographs of petroglyphs found near Arches National Park, Utah. I guarantee that they were taken by me and that they may be used commercially without worry about violating copyright. Due to file size of the actual photos, the thumbnails show details from the photos but not the full photo. You may use these photographs in any product (including interactive whiteboard products) so long as you provide a link to my store (which is included in the file). I would appreciate you using the button logo (provided in the file), but it’s not required. You may not provide this digital file to any other person. All downloads of the photographs must come from this website alone. You may not upload the photographs to any website and may not use them in blogs unless you provide a hyperlink to my Teachers Pay Teachers store within the blog text and secure the photos so that they cannot be lifted. Follow me by clicking the green star at the top of the page (under my logo image) to be notified when I upload new products. Thanks for visiting! And enjoy your new petroglyph photographs!